This Wingate by Wyndham Convention Ctr Closest Universal Orlando is outfitted with 101 comfortably modern rooms across 4 floors, every accommodation in our restful hotel surpasses the size of industry standards. Ideally located we are one half mile from the Universal Orlando Theme Parks/City Walk and less than two miles from The Holy Land Experience. Mall of Millenia, Premium Outlet Mall, I-Drive area, and many other stores are just two miles away. The Orange County Convention Center is five miles away and within the same radius is every restaurant possible. The Walt Disney Resort area is 15 miles/20-minute drive. The Orlando International Airport is 25 minutes away. Daily room rate includes our complimentary hot/cold breakfast selections. One King or two queen size beds are available and we are a non-smoking hotel. In room amenities include a microwave, mini-refrigerator, coffee maker, iron & ironing board, hair dryer and in-room safe. 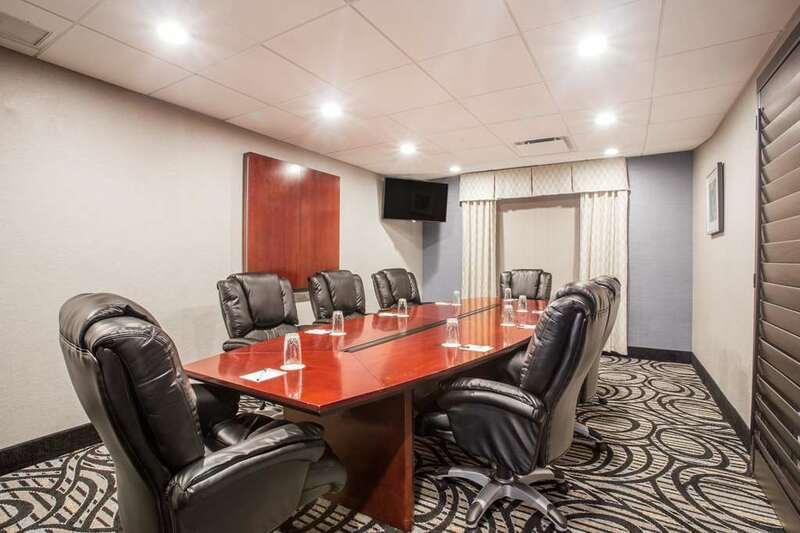 We offer complimentary access to the new fitness room, outdoor pool, complimentary wired and wireless high-speed internet access, and have a new modern business center. We look forward to working with you to make your travel arrangements.